Encrusted with glistening 1/3ct diamonds, and crafted into an impressive flower design, this exquisite 9ct white gold ring is the perfect way to show your loved one how you feel. Diamond jewellery for all occasions. 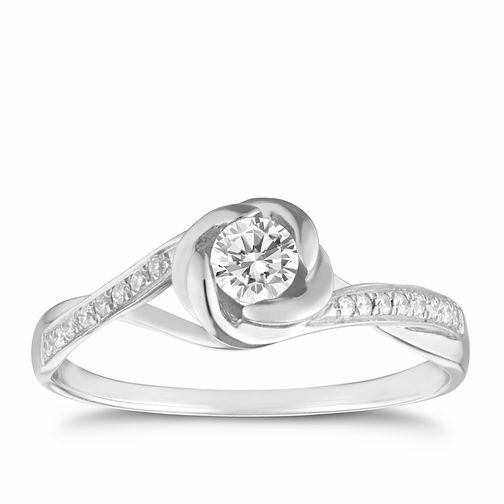 9ct white gold 0.33 carat diamond flower ring is rated 4.6 out of 5 by 14.